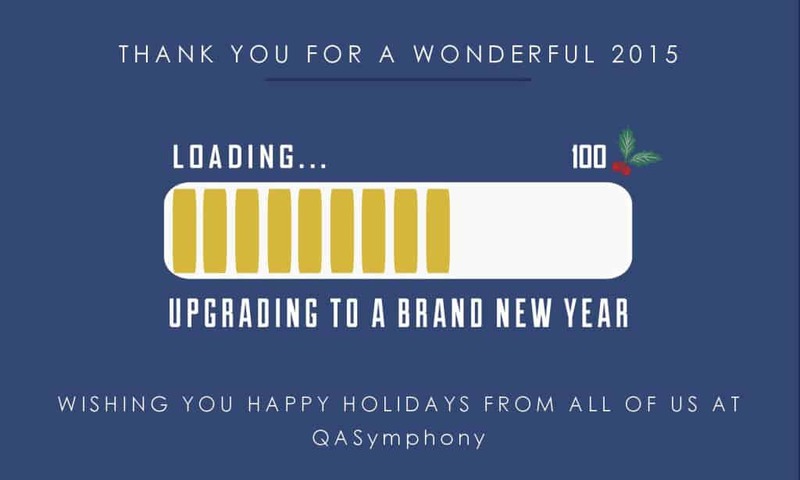 QASymphony / Blog / Happy Holidays from QASymphony! 2015 was a BIG year for QASymphony. We started the year off raising $2.5 million in Series A funding. From there, things really started to take off. We built our team in Atlanta adding 24 people including several key executives. Brendan Tolleson joined to run our Partner Channel and Bo Rodric took over our development team in Vietnam. For the first time, our company was selected as one of the “Best Places to Work” by the Atlanta Business Chronicle. Last but not least, in 2015 we continued to build strong relationships with our existing customers and we added almost 100 new customers. As the year comes to a close, we want to say a big “Thank You” to all of our customers for being a part our growth. We look forward to continuing our partnership and helping your company create higher quality software in 2016!